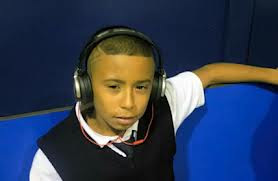 Julian Newman, a 4'5" 5th grade hoops prodigy out of Downey Christian School in Orlando, Florida, has been tearing apart varsity opponents that are 6 and 7 years older than him. He leads the state of Florida in assists at 11.5 a game and is 19th in the nation in that category. Recently, he scored 14 points, dished 8 assists and had 3 steals against Agape Christian which is one of the top private schools in the Orlando area. Two months ago, he scored 91 points in only 3 quarters of a middle school game which led to his move to varsity.